Dr. Mike Heithaus is Dean of the College of Arts, Sciences & Education (CASE) and Professor in the Department of Biological Sciences at Florida International University (FIU). At FIU, he served as the Director of the Marine Sciences Program and was the founding Executive Director of the School of Environment, Arts and Society (SEAS). A marine ecologist, specializing in predator-prey interactions and the ecological importance of sharks and other large marine species like dolphins and sea turtles, Mike joined FIU as an Assistant Professor in Marine Biology in 2003. 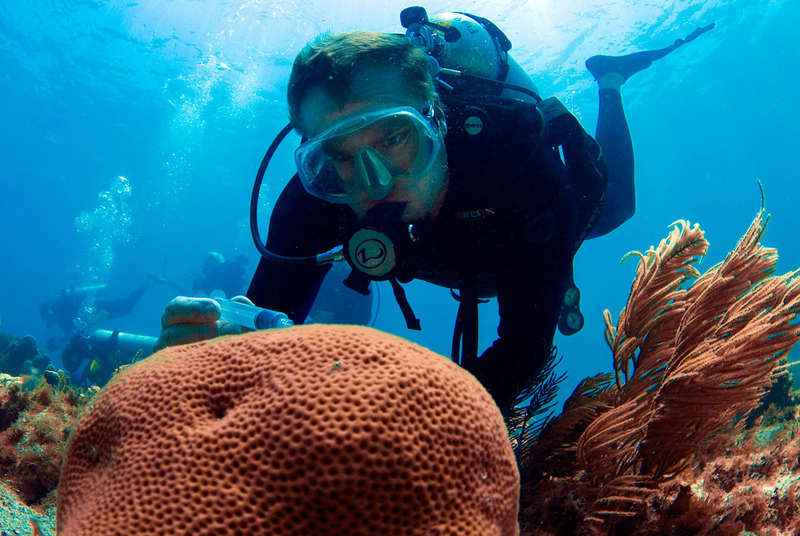 His research includes investigating the ecological consequences of overfishing large predators, predator-prey interactions, and the ecology of seagrass ecosystems, coral reefs, and deep-sea communities of the Gulf of Mexico. He has published more than 160 scientific papers and book chapters, co-edited four books on sharks, and attracted over $8 million in research support. Named the founding Director of SEAS in 2009, he led strategic planning efforts for the school, whose three departments and five research centers and programs are responsible for more than $20 million in annual research expenditures. During his time as Executive Director he helped bring Aquarius Reef Base, now part of the Medina Aquarius Program, to FIU. He also helped develop diverse community and academic partnerships and facilitated new academic programs. As Dean, Mike is focused on improving student success and developing resources to support the CASE’s critical teaching and research endeavors and community engagement. Committed to research and to communicating science, Mike works on many environmental research projects and outreach activities. 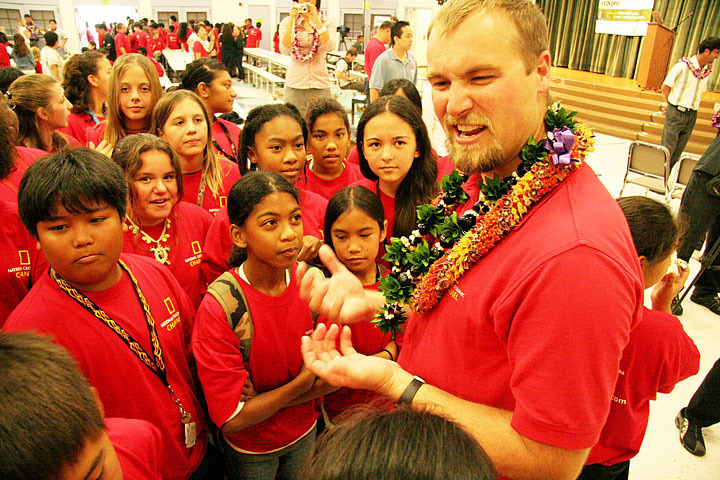 He can be found studying sharks and other marine creatures in remote areas of the world like Moorea, French Polynesia, the Everglades, and Western Australia, or speaking to kids and their teachers, in person or virtually, at K-12 schools across the country. He has co-written two high school science textbooks, is an author on national K-8 science programs, and a member of the Science Advisory Committee for Pew Environment’s Global Shark Program. Prior to joining FIU, Mike was a postdoctoral scientist and then staff scientist at Mote Marine Laboratory’s Center for Shark Research in Sarasota, Florida. 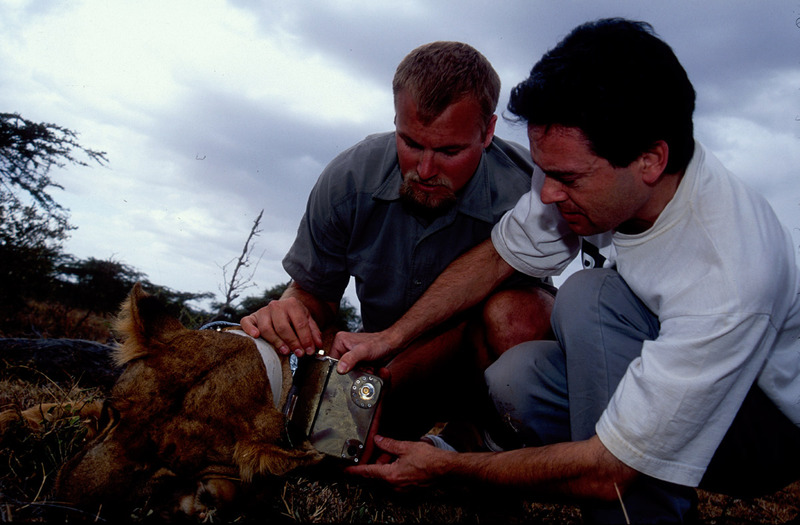 He also worked with National Geographic’s Remote Imaging Department where he conducted studies using their “Crittercam.” He traveled around the globe, deploying more than 100 remote imaging devices on marine animals as well as lions and hyenas. He continues to use – and help develop – cutting-edge camera technology, including some worn by animals, to conduct research on hard-to-study marine animals from whales and dolphins to sharks and sea turtles in their natural habitats. Mike has been involved in the production of more than a dozen natural history documentaries, including three featured on Shark Week, and has hosted a National Geographic Channel television series. He also hosts and produces – along with Patrick Greene of SymbioStudios – science and math videos for students and teachers in K-12 classrooms around the country. Mike received a B.A. in Biology from Oberlin College in 1995 and completed his Ph.D. at Simon Fraser University in 2001. While at Oberlin, Mike was a fifteen time All American and Academic All American as a member of the varsity swim team, winning three NCAA Division III national championships in the 400m individual medley. He has been inducted into Oberlin’s Athletic Hall of Fame. Mike and his wife Linda, live in Cooper City, Florida with their two sons, Josh and Devin, and their daughter, Addison. Click here to download his full CV. are speaking intelligently about. I am very happy that I stumbled across this during my hunt for something regarding this.